Amaterasu Omikami is the central Deity of the Shinto Religion of Japan. But her spiritual significance extends far beyond what is significantly called the Land of the Rising Sun. While many patriarchal myths make the Sun a masculine figure, She was originally feminine. The Germans still speak of Frau Sonne (Lady Sun). The Lithuanian and Celtic Sun deities were feminine. Even our word Sunday comes not directly from English "sun" but was originally Sunna's day, the day of the Nordic Sun Goddess, Sunna. These, of course, come from ancient religions that are no longer practised. 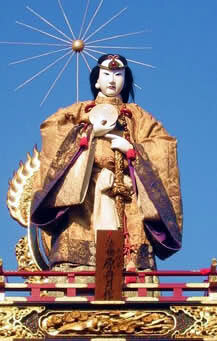 Amaterasu Omikami, however, is still worshipped today by millions of people. She is still the center of the pantheon of a living faith. Amaterasu Omikami is regarded by scholars as the Japanese expression of a pan-Asiatic Solar Goddess. 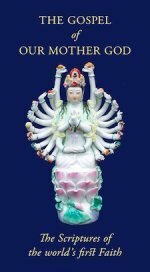 As we have already seen, the Solar Goddess is not only Asiatic but is found worldwide. 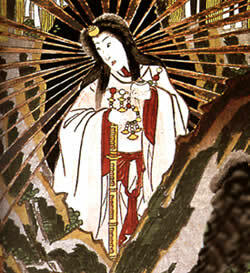 While in other Asian countries Buddhism and Taoism discouraged the worship of the Sun Goddess, in Japan it continued unabated into patriarchal times and continues to be central to the Japanese tradition. Amaterasu Omikami, aided by her two lesser siblings, Tsukuyomi and Susano wo (moon and storm), painted the landscape in the beginning to create Japan. Since Japan is here a microcosm of the world (just as the world is a microcosm of the universe) we can understand that the Sun Goddess is also the supreme Creator. Her story can also throw light (literally) on the spiritual significance of the Winter Solstice. The Event known in the West as Christmas. In order to understand this, first of all we need to understand what the Sun really is. The modern popular notion is that the sun is a vast gaseous body at the center of our solar system. And of course on one level that is true. There is a physical heat-and-light-giving body at the center of our solar system, and it is the material symbol of the Supernal Sun. However, the Solar Spirit existed before our sun or any star was born, and will exist long after they are passed away. The physical sun corresponds to the Supernal Sun in that it is, on the physical plane, the source of light, warmth and life for every living being in this world. However, when we talk of the Solar Deity we are referring to the Supernal Sun Herself, not to the physical sun, which is merely one of Her reflections in the pool of matter. However, that reflection is also important. On this earth it gives us the rhythm of the seasons, which reflect for us the beautiful music-like harmony of heaven. One of the key points of the rhythm of the seasons is the Winter Solstice. The Rebirth of the Light. The myth of Amaterasu Omikami has its central point at Midwinter. As in other representations of the Midwinter Mystery, such as the Western Christmas, the fundamental element is the (re)birth of the Light. The brother of the Solar Deity was the storm-kami Susano wo. He trampled Her rice fields and destroyed her shrines, even killing one of her attendants. In response to these outrages, the Goddess retired to the Heavenly Cave, sealing it shut with a great rock that only She was able to move. This cut off the worlds, both kami and mortals, from their sustaining Supernal Solar Light. The kami implored Her to come forth from the cave, because all kami, like all other beings, are dependent on the Light of the Supreme Goddess. We may ask why there was a kami who does disharmonious things. The reason is that manifestation (the existence of a physical universe) involves imperfection. If it were perfect, it would be in complete union with Deity and therefore would not be a manifest physical universe. That is why Susano wo was needed to help create a manifest universe, and why he attempts to introduce disharmony. The very "hiding" of supreme Deity is another aspect of this "paradox of being". In a manifest, and therefore imperfect universe, there is darkness as well as light, and that darkness is an apparent absence of Deity Herself. The glorious re-emergence of the Sun Goddess from the Heavenly Cave is the same Midwinter Event that is remembered by Christians as the birth of Christ. The coming (or return) of Light to the darkened world. This, however it is depicted, is the true meaning of Christmas. 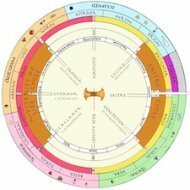 The cycle of the year, just like the cycle of day and night, is symbolic of the interplay of light and dark that is inherent in the existence of a manifest universe. This is the precise opposite of the modernist "explanation of myth" which says that myths project divine events onto natural phenomena. In actuality natural phenomena are the material reflection of divine Realities. Susano wo was banished from heaven, but still exists on earth. The storm, or disharmony, is part of earthly existence. But the Light of the Supernal Sun also shines upon the earth. Darkness encroaches upon Light and chaos upon Harmony. But the Light of Heaven is perpetually renewed and will never leave us. When the days have grown shortest and the world seems to be darkening toward eternal night, Amaterasu Omikami comes forth from the cave of heaven and irradiates Her universe with Her Supernal Light.